WooCommerce Product Feed Pro plugin helps you generate product feed for leading shopping platforms such as Google, Facebook, & Bing. For Google Merchant Centre, you can generate multiple feeds – Standard Google shopping, promotions, dynamic remarketing (DRM), dynamic search Ads (DSA), local products and inventory. 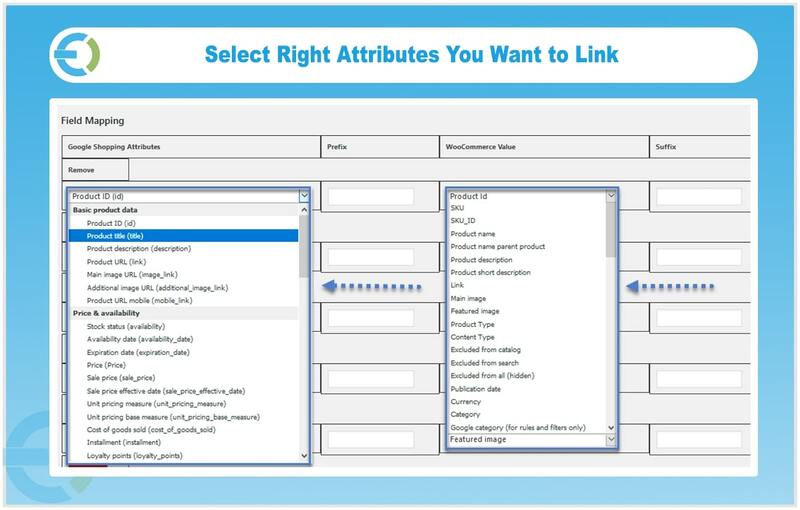 With this plugin, you don’t require any complicated coding skills as the plugin automatically maps the products IDs and other attributes according to Google, Facebook & Bing standards. This plugin keeps your product feeds up to date by automatically adding new products using Cron Job. You can schedule Cron Job to update feed hourly, daily, or twice a day, which ever suits your preferences. With WooCommerce product feed plugin, you can generate the shopping feed for any country andsell your products anywhere in the world. WooCommerce product feed pro plugin allows you to generate Google shopping feed for an entire e-store. When you upload the file in Google merchant center then it will integrate all the products to Google shopping center. You can generate feed to display your WooCommerce items in Facebook ads. 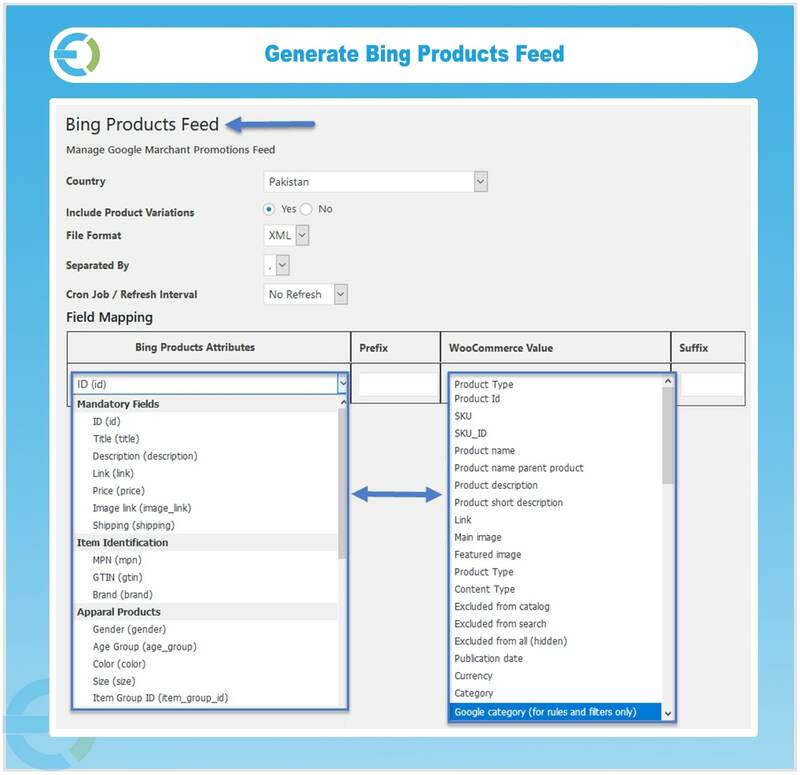 WooCommerce XML product feed plugin helps you to generate the feed for Bing Ads. 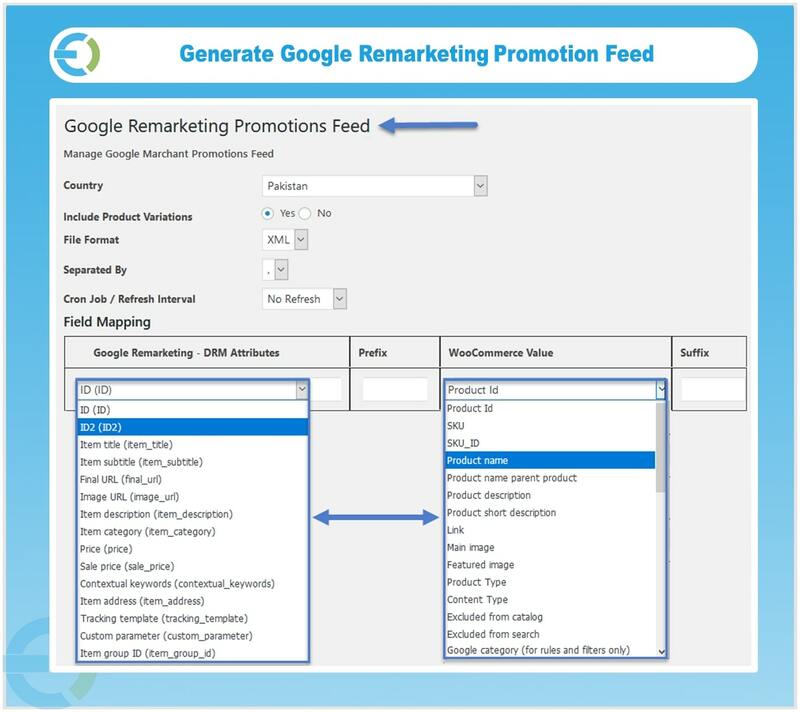 Generate Google merchant promotion feed to display the products in Google shopping ads. Display products to your previous website visitors on Google by generating Google DRM feed. Show products in Google search ads by generating Google DSA feed. You can also generate Google local product feed with the help of this plugin. 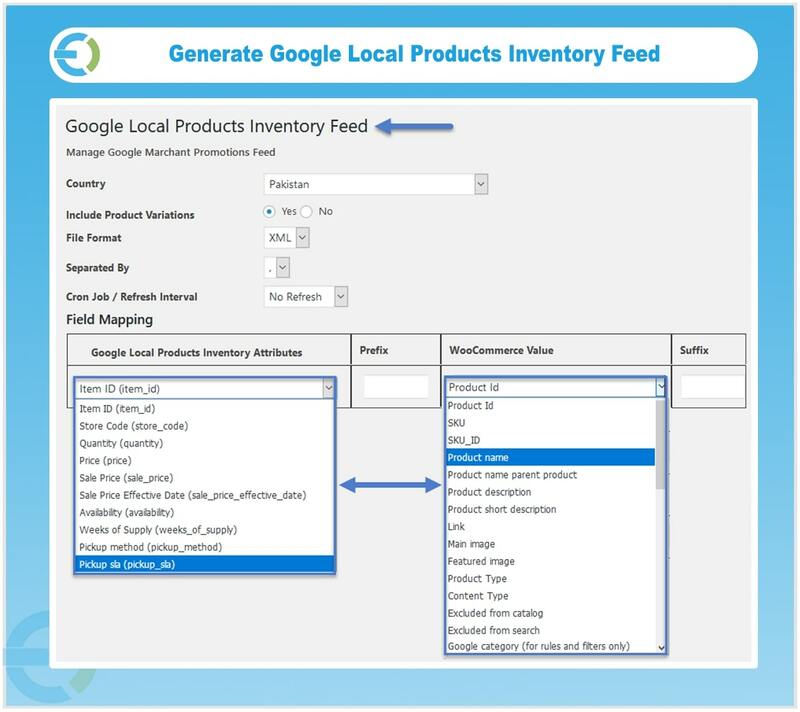 WooCommerce product feed plugin helps you to generate Google local product inventory feed for merchant center. 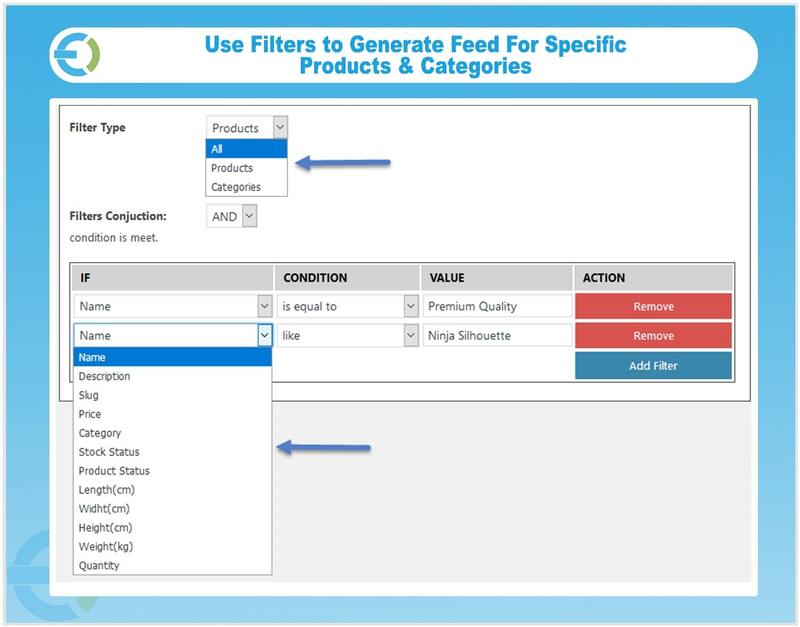 WooCommerce product feed plugin lets you add conditions to generate the feed for specific products or Categories. 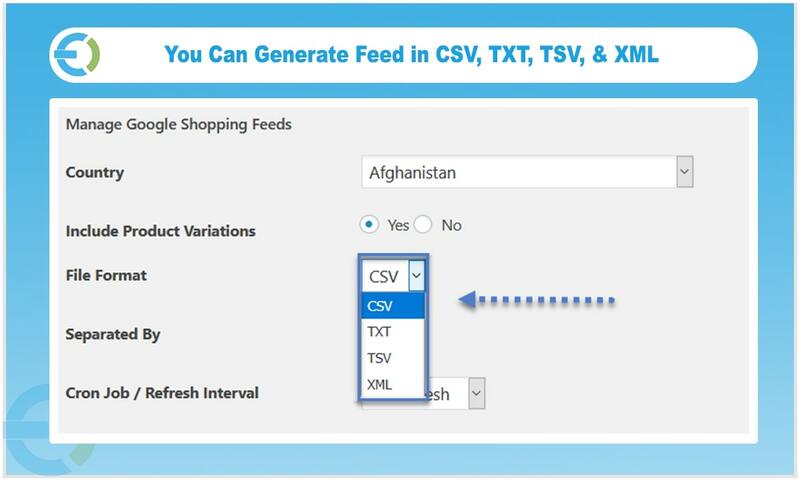 WooCommerce XML product feed plugin enables you to generate the product feed in four types of formats such as XML, CSV, TXT, & TSV. You have to map the product attribute fields with your product IDS carefully because Google has specific rules for each country. You can map your products categories according to Google’ shopping categories to display the product under the right category. You can also display variable products in Google shopping platform using WooCommerce product feed pro plugin. WooCommerce product feed pro plugin enables Cron Job which automatically adds newly added products in Google shopping center. You can also schedule Cron Job on hourly, twice a day, or daily basis.